One of the decisions to make early, before you start buying plants, is what kind of native plants you want. Do you want nothing but “bullet-proof” species that will like your garden conditions? Or do you want to include some (or a lot) of trial-and-error species? There are no wrong answers. Having an idea, however, of what you want will help you avoid disappointment and extra expenses. Working with California native plants, I’ve learned that in some ways they are not that different from non-native species. Find the right plants for the garden’s soil, sun and water, and they are easy to grow and maintain. The further you stretch out of a plant’s comfort zone, the higher maintenance it will require. It becomes okay to have a summer-dormant garden if we are not in the garden that much in the hottest months anyway. There is at least one difference, however, between California native plant species and those commonly found in garden centers. Most native plant species have not been cultivated in laboratories for generations. Cultivars are man-made species, created to have desirable attributes. In many plants, one of those attributes is tolerance of less-than-ideal conditions. Many California native plant species don’t have this attribute bred into them, and we have to work harder to find or create the ideal conditions for each species. 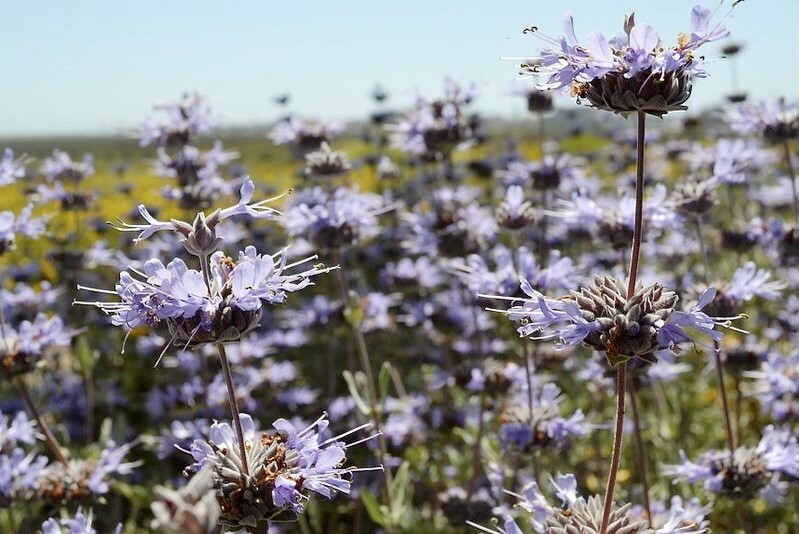 But there are some California native plant species that are naturally tolerant of less-than-ideal conditions and learning what these are can be part of your research. Even, these species, however, may show more variability in growth form and mature size than many laboratory-created species. The next planning question to ask yourself is, “What kind of water and maintenance regimen do I want?” Most people these days answer “low water” and “low maintenance.” In my design interview process, I ask for more specifics. What is the source of your water? Is it high in salts? Is it reliable all summer? Is it from an agricultural irrigation canal, which usually means filled with pathogens and weeds? Is it high in mineral content that often clogs drip emitters? Are there current plants in your garden that you think are using too much water? Do you have an idea of how much water (in gallons) you want to use each month? Figure it for yourself or ask for help in designing a water budget, just as you would a financial one. If you want a “drought tolerant” garden, you must realize that the plants that have adapted for this type of living have certain characteristics. Many of them prefer well-draining soil. They usually have blue-green, gray-green or grey leaves, and usually those leaves are smaller than average. Many low-water-use plants are partially or fully dormant during summer. Many of us are still not used to summer dormancy, which can mimic a dead plant, just as dormancy in winter can, except that we are more used to seeing bare branches in January and have come to understand that this does not mean that a tree or shrub is dead. Same with herbaceous plants that die back in the winter and emerge again in the spring, such as bulbs and frost-tender species. Summer dormancy or a cycle of ‘drought deciduous’ and re-growth are natural parts of water-conservation for many Western species, but it does take some getting used to. This is a big idea to consider. I hear often from people who want a drought tolerant and low-maintenance garden, but want large green leaves, lush foliage, and abundant show-stopping blooms all summer (and winter too, sometimes). Often, when we discuss this further, it becomes okay to have that kind of look in spring and a bit in fall, which is what most California native plants offer. It becomes okay to have a summer-dormant garden if we are not in the garden that much in the hottest months anyway. We may need to say certain areas need to look great all year; other areas can be dormant or “off their game” for some part of the year. Planning like this, in specifics, helps enormously to enjoy the established garden. Wherever your garden is in the State, there are seasons you can plan for abundance and other season you can let the garden slow down and rest awhile. If you plan carefully, you can do this and still have a four-season-interest garden. This is where mixing in some climate-right non-native species, using garden art or thinking in terms of structure and form become useful. We can lower the water requirements, adjust our expectations, and have a beautiful, interesting garden all year. Not the same kind you would have if you lived in Missouri or New York or Tennessee. That is why I often talk about “California gardening.” It really is a style like no other. But the first step is to plan.